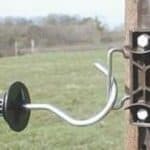 Stainless steel sprung electric fence gate handle. Designed specifically for tapes, the gate has a connecting buckle at the end of the spring that attaches to the tape like a raincoat buckle. 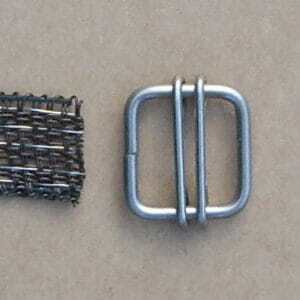 The other end hooks onto a tensioner wire (R36N). 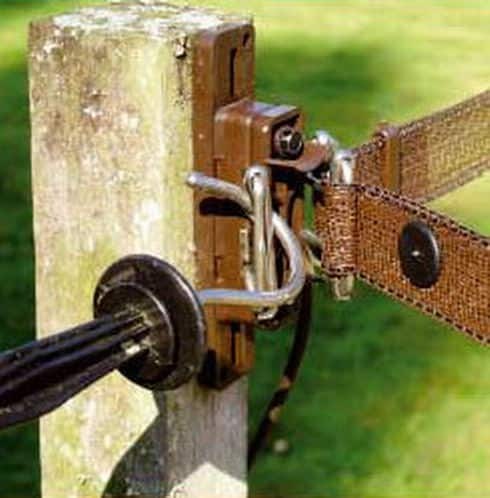 Designed specifically for tapes, this electric fence gate has a connecting buckle at the end of the spring that attaches to the tape like a raincoat buckle. 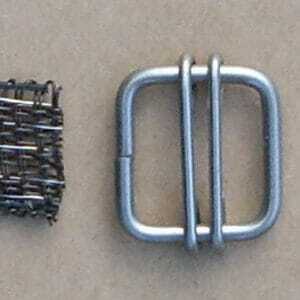 The other end hooks onto a tensioner wire (R36N). 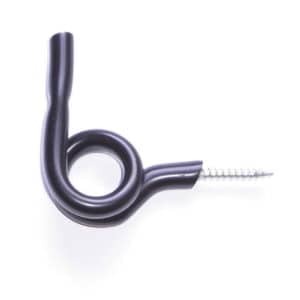 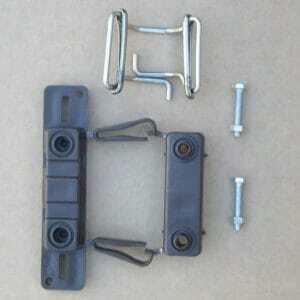 The handle is insulated and has an external spring that tensions the gate tape. 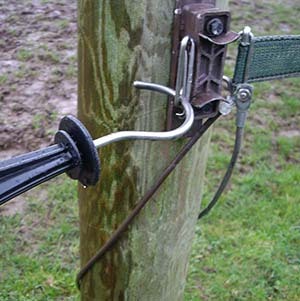 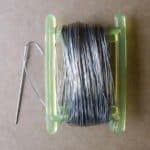 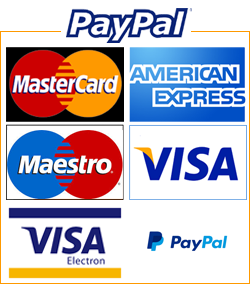 A tape gate is far lighter and cheaper than a solid gate and easier to manage when a number of animals are involved. 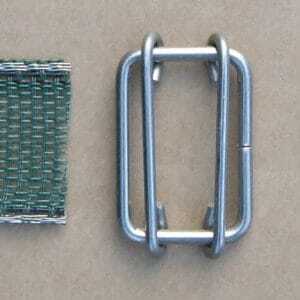 It also ensures that animals are contained totally by live fence and not try to jump the gate part. It does not require extra strong posts. 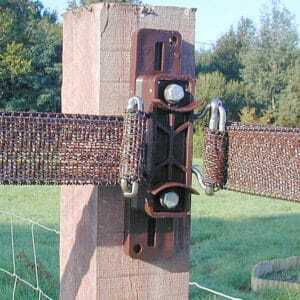 A temporary gate opening in a movable system uses a joining buckle (R24) and a gate handle (R11). 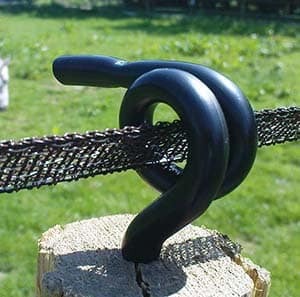 It is essential to have the buckle as close to a stake (R7A) as possible. 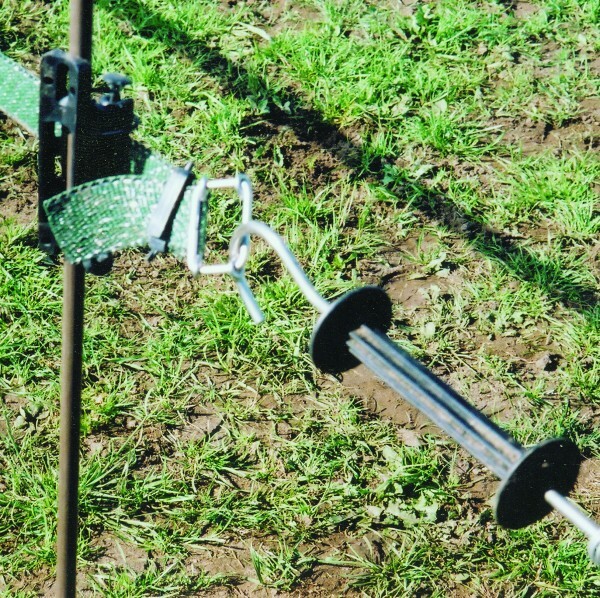 While it will ‘kill’ the fence beyond, if the handle is arranged with the hook towards the power source then the tape part will be dead while the gate is open. 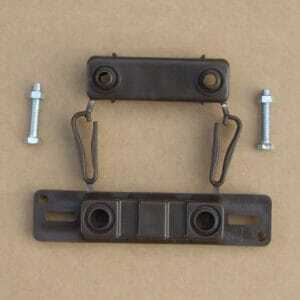 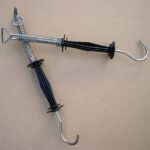 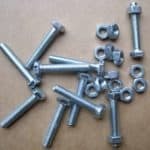 You will need tensioners (R36V or R36B), or a joining buckles (R22 or R24), or Pigtail insulators (R10V) as a ‘latch’.